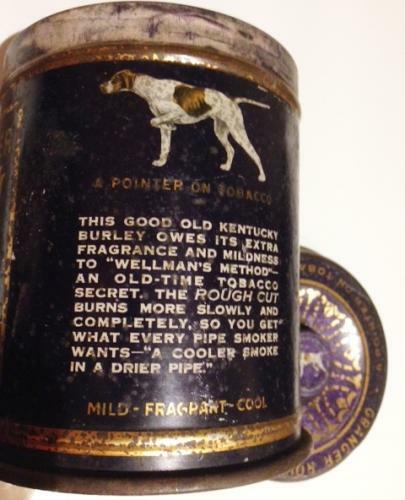 Granger Rough Cut Tobacco Tin. Attractive colours, blacks golds and purples with Pointer Dog. Condition worn but has a great 'Interiors' look to it.